Whole commercial building in Nishi Nippori, Tokyo is on sale! Price is always negotiable. 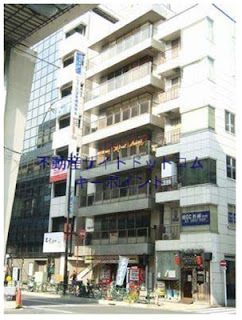 Very close to "Nishi Nippori" train station. 1 min. from Chiyada line and 3 min. from Yamanote line. Yamanote line is the loop train line, connects all the important area of metropolitan Tokyo. Inside the Yamanote line is generally considered real central Tokyo. Annual rental income is JPY 33,220,000 when fully ocuppyied. Which translates more than 10% yield. If you are interested, please contact us through the Enquiries Form.